Sydney is not the capital city of Australia (that would be Canberra), however it is the state capital of NSW. 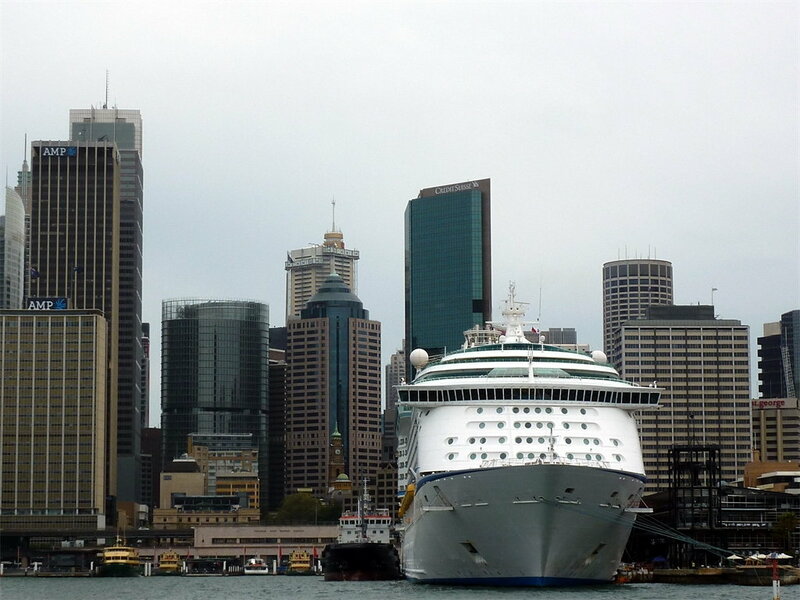 Moreover, Sydney is probably the most well known, and iconic city of Australia. 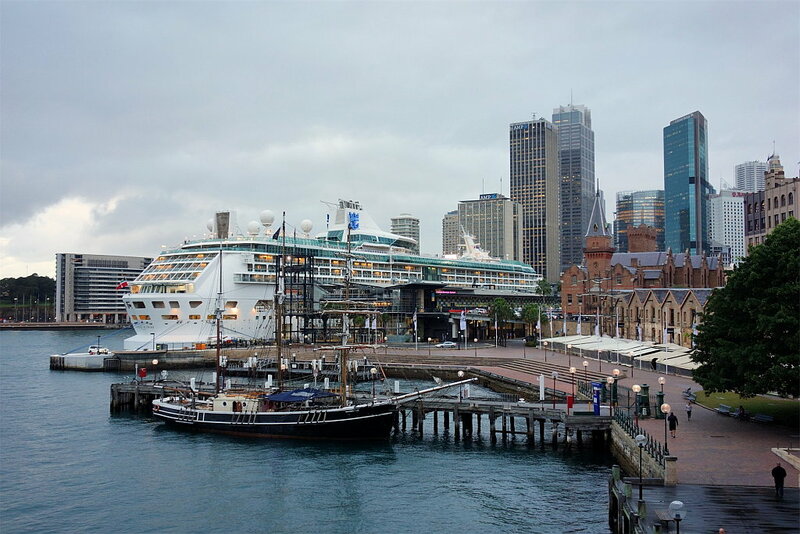 Founded as a penal colony (as were all major cities of Australia with the exception of Adelaide), Sydney has since then grown to become a major global cultural and economic center. 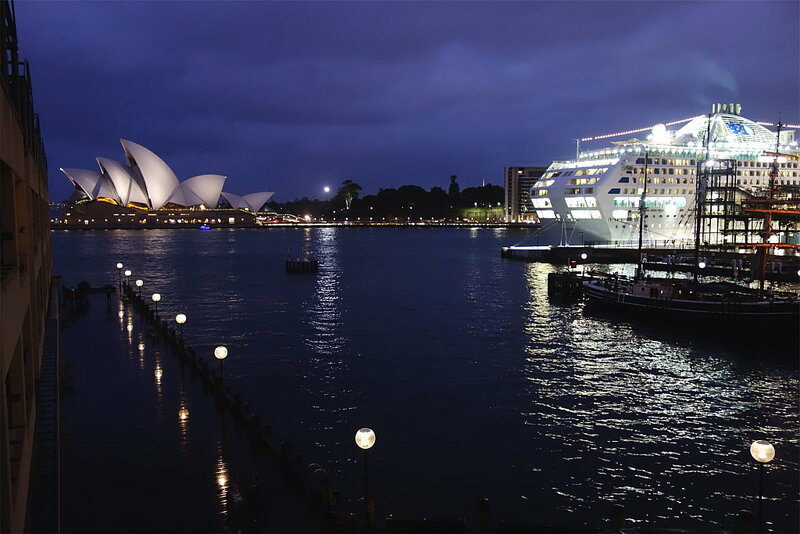 Its most famous landmark is probably the Sydney Opera House, and like Paris’ Eiffel Tower, has outlasted the dislike or apathy of the locals to become beloved of the world. Every year millions of tourists come to Sydney to enjoy its attractions. I have been there several times, and have not had to venture too far from it’s center in search of interesting things to see and do. It isn’t that there isn’t more – it is just that there is so much! 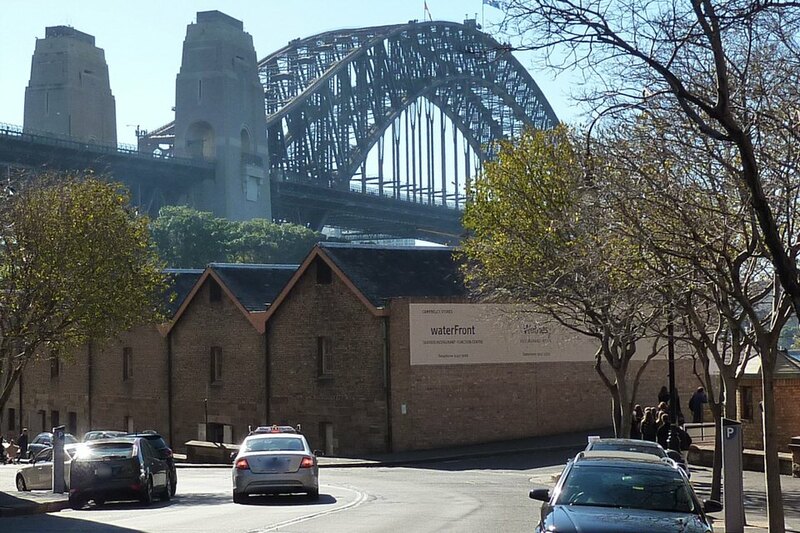 Surprisingly, Sydney retains a somewhat low key and relaxed feel, in spite of the crowds. 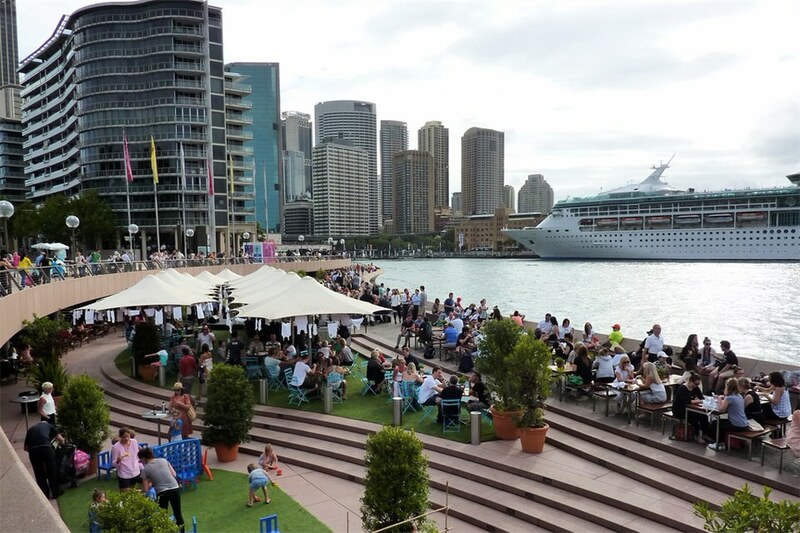 Circular Quay (pronounced “key”) is the place to be. 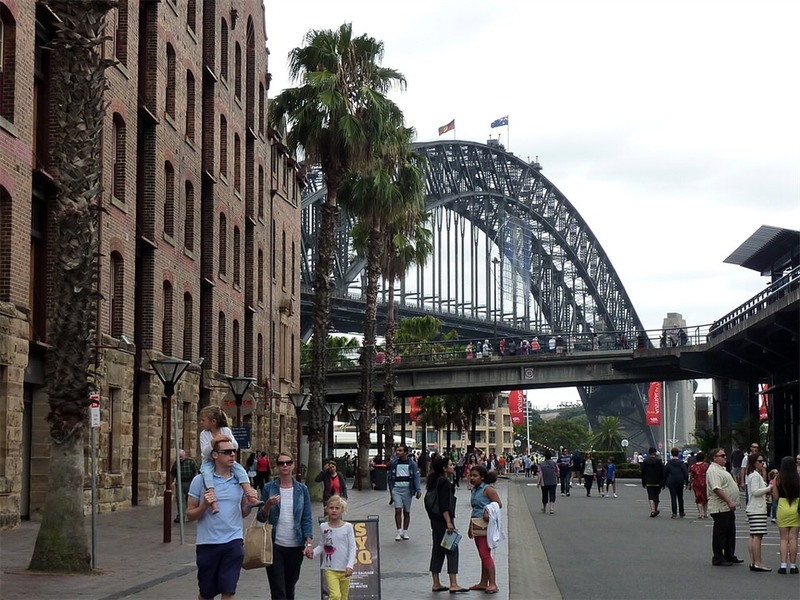 Here you will find the Sydney Opera House, the Sydney Harbour Bridge, The Rocks, not to mention museums, lots of places to eat, sleep, shop, and explore. The beautiful and extensive Royal Botanical Gardens along with Macquarie’s Point border the Quay on the east side (future post). The CBD is situated at the south end of the the Quay. 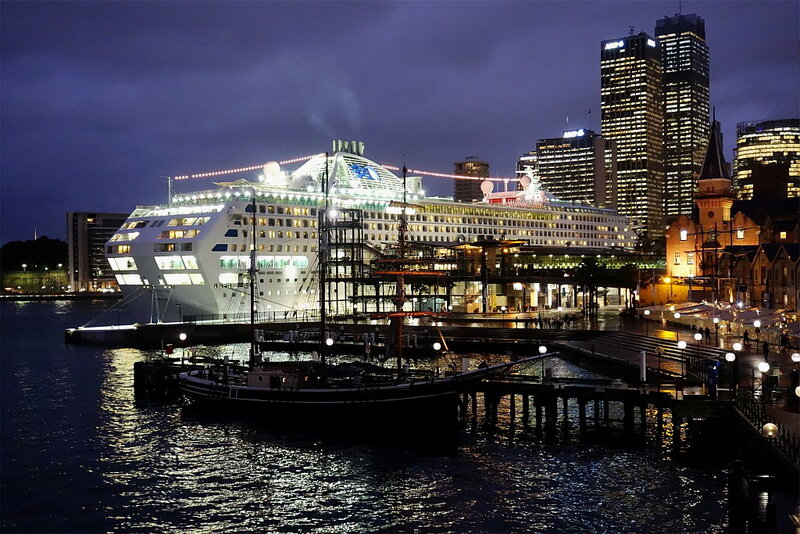 View of Circular Quay and docked cruise ship from the Opera Bar at the Sydney Opera House. The Rocks, dating back to 1788, is a popular tourist area – home to restaurants, pubs, shops, art galleries, hotels, a large weekly market, and more. It has a colorful history due to it’s port location and once was home to gangs, rough sailors, and prostitutes. Many of the original sandstone buildings have been demolished, but the area still retains it’s charm. It is also in view of the Bridge. 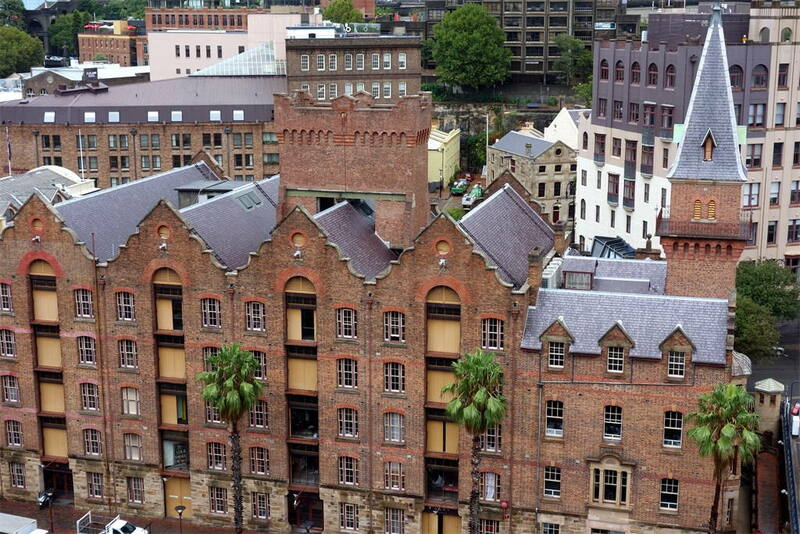 We had the privilege of staying at the Sydney Park Hyatt, located in The Rocks at the edge of the Quay. Ed was there on business so I tagged along. The amenities are fabulous. 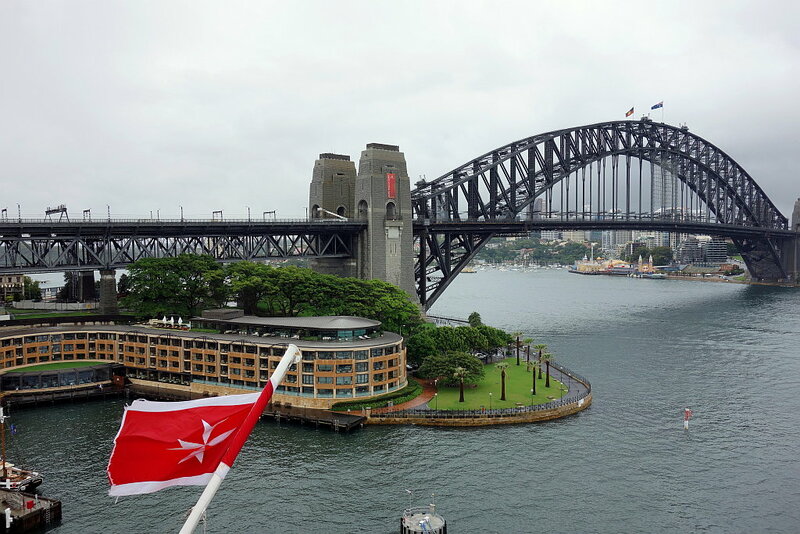 Although the weather was not spectacular, we had wonderful viewpoints of the Sydney Opera House, cruise ships in dock, and the Harbour Bridge. I took lots of photos from our veranda which had fabulous views of Circular Quay, the Opera House, The Rocks, and the CBD, but this one below is the only one that I currently have of even a part of the hotel. It is the brown building and not so impressive from the outside as it is from the inside. You do get a great view of the bridge in this picture, though. Sydney Park Hyatt and Sydney Harbour Bridge as viewed from deck of cruise ship in dock. Photos below taken from my perch on my porch. Some more photos of the sights nearby. Although you have already seen a few pictures here, stay tuned for more pictures of the Opera House and Sydney Harbour Bridge in future posts. 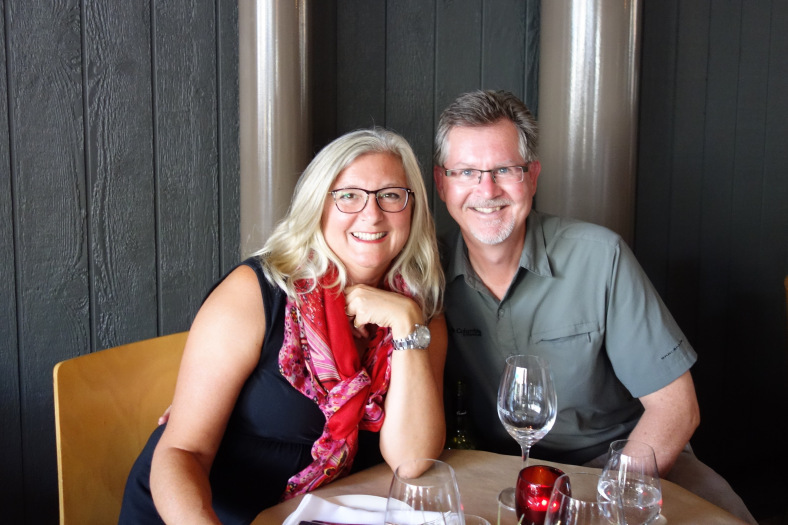 This entry was posted in Sydney and tagged Circular Quay, Cruise Ships, Sydney, Sydney CBD, Sydney Harbour Bridge, Sydney Opera House, Sydney Park Hyatt Hotel. Bookmark the permalink. You’re such a great photographer, Diane! Thank you so much, Aida. Nice to hear from you. I miss you.